2018 update: I keep an updated list of all the things I use (including programming tools) in my list of things. I’ve been on Macs since I was 10 years old. I love them obsessively, but my needs for Mac OS X as a developer are more than the operating system comes with by default. Over the years I’ve added layers and layers of tweaks and customizations to make my MacBook a coding and productivity powerhouse. Here’s a list of the things I can no longer live without. Chrome: most of my work is in web development. Chrome is the best browser, and it’s lovely syncing all of my user settings and history across all of my computers and devices. Sublime Text 2: the best text editor for any language. Be sure to enable Vintage Mode to enable vim keybindings, learn how to use multiple cursors, install Package Control (and learn how to install packages, like language packs for syntax highlighting), and install a nice theme and font (I like soda and Anonymous Pro). Typinator: text expand shortcuts. Example: if I type “mye” it expands to my email address, “myph” my full phone number, “mladt” an MLA formatted date for today (like 2 April 2014), “dt” for a sortable date for naming files (like 2014-04-02), “edt” for a unix timestamp (like 1396416206), and “lod” for ಠ_ಠ. f.lux: adjusts your screen brightness at night so it’s easier on the eyes. Backblaze: cheap full hard drive cloud backup service. Use with Time Machine for double safety. Alfred: scriptable application launcher and system shortcut… thing. This can quadrouple your productivity on a mac. Fantastical: a calendar that understands natural language a system keyboard shortcut away (I use ctrl + space). zsh: better than bash. Command autocompletion, color-coding, and a more customizable command prompt. pry: if you use Ruby (which you should - it’s great), it’s a better irb. Stick binding.pry anywhere in your code to go into an interactive REPL. 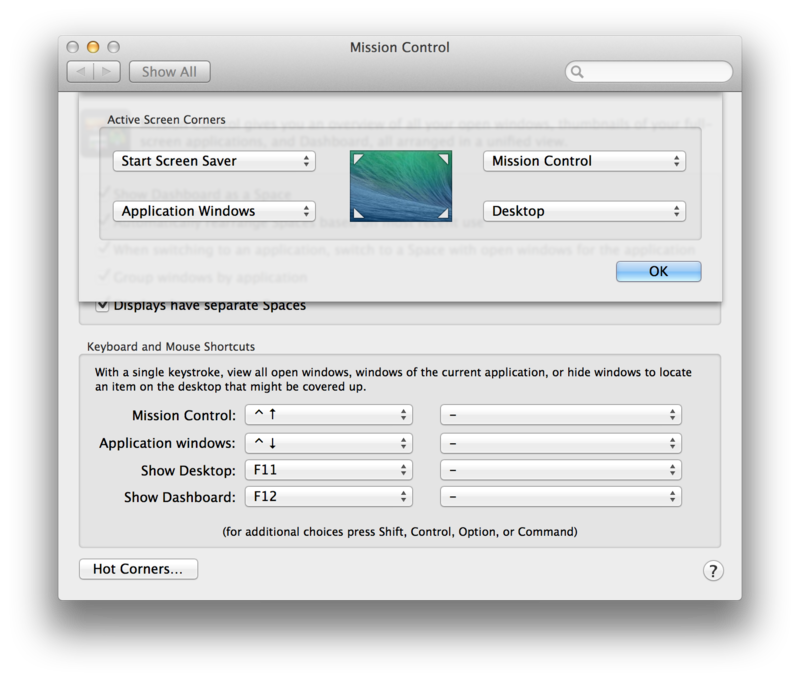 Enable hot corners in System Preferences / Mission Control / Hot Corners. I like top right for mission control, bottom right for desktop, top left for screensaver, and bottom left for application windows. 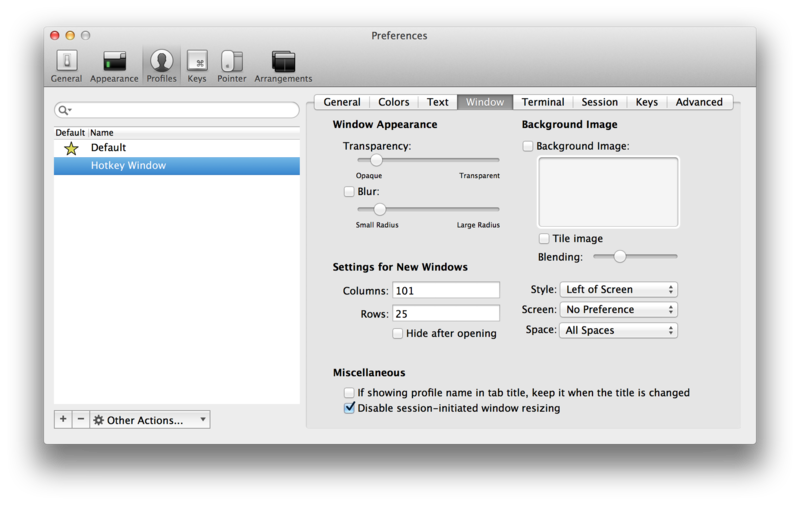 Enable tap to click in System Preferences / Trackpad / Point & Click. KeyRemap4MacBook: use it to remap caps lock - the most useless key in prime real estate - to ctrl when held and esc when pressed. 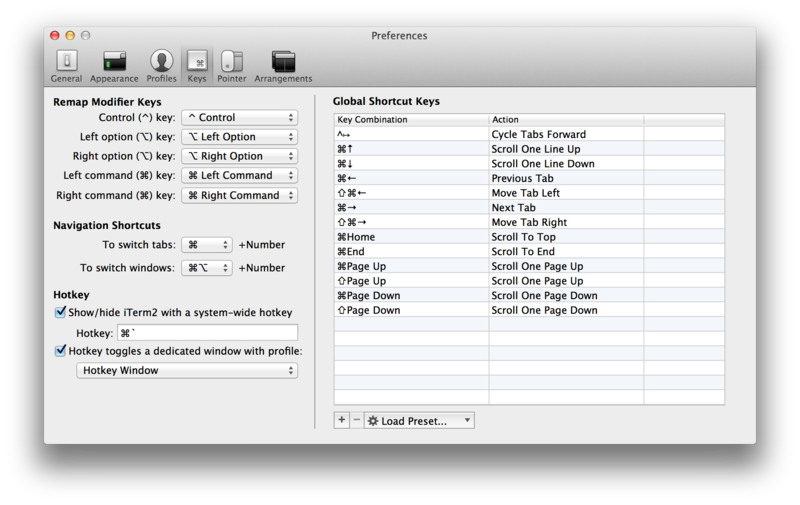 Just check Control L to Control L (+ When you type Control L only, send Escape in system preferences after installing. Edit: this functionality was moved to PCKeyboardHack (thanks @Splendor!). XCode / preferences / Downloads and install Command Line Tools to install missing build tools. I hope this helps to make you as productive as possible on your Mac! If you’re more command line inclined, I recommend this 2012 article about using tmux, vim, and zsh together. If you enjoyed this list, check out this [similar compilation of developer tools by hacker Samy Kamkar(http://samy.pl/tools). Samy’s website also has some neat stuff.